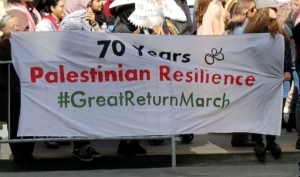 Over 700 people rallied in front of the Israeli Embassy in downtown San Francisco and then marched down Market Street to the Federal Building in commemoration of the 70th anniversary of Al-Nakba, May 15, 1948. On that day over 700,000 Palestinians were forcibly expelled from their homeland of by the terrorist actions of Zionist forces that paved the way for the creation of the state of Israel. Anger and outrage was also on display at the weekly murder of dozens of unarmed Palestinian protesters by Israeli occupation forces in the Gaza Strip, with over 60 people murdered by sniper fire the previous day. 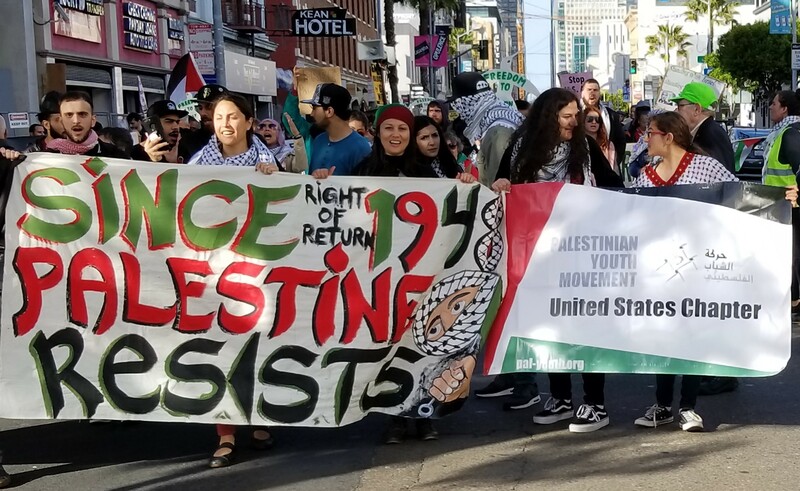 The rally was called by the Palestine Youth Movement and supported the Palestine Action Network and progressives in the San Francisco Bay Area. 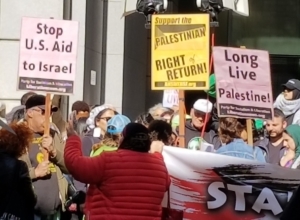 Linda Erakat of the PYM led the rally with a chant of “Colonizers, we don’t need them, what we want is total freedom” that echoed the tall buildings of the financial district as vehicles and passersby heard the conviction of the Palestinian youth on the microphone. The names of the 60 martyrs killed in the previous two days were read with ages as young as 8 months old and the vast majority youth people. A small contingent of Zionist supporters gathered across the street chanting racist slogans and taunting the demonstration. When a Palestinian youth confronted their vile conduct, he was quickly grabbed by the police and arrested. 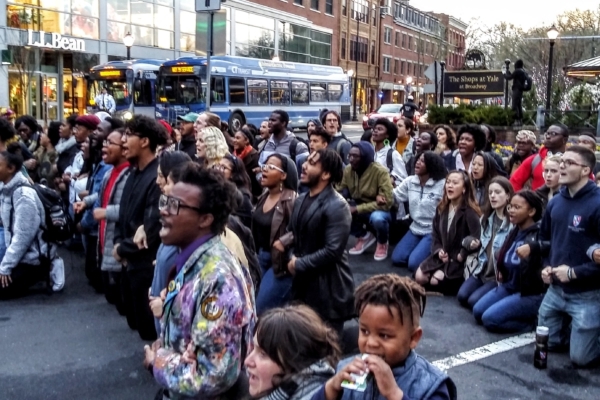 The rally turned its focus on the police chanting, “Let him go, Let him go.” The young man was released and back at work the next day. 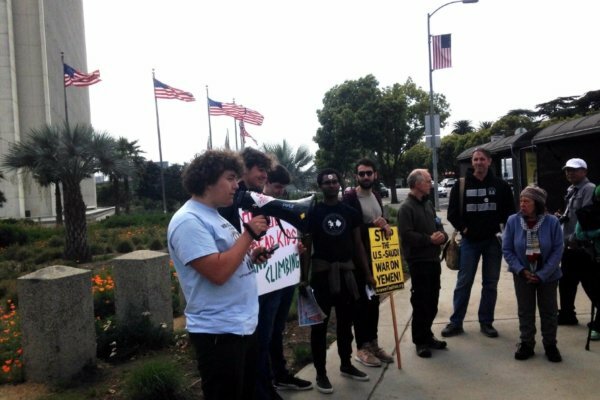 Representatives from Queers Undermining Israeli Terror, Jewish Voice for Peace, and the Middle East Children’s Alliance spoke at the rally. 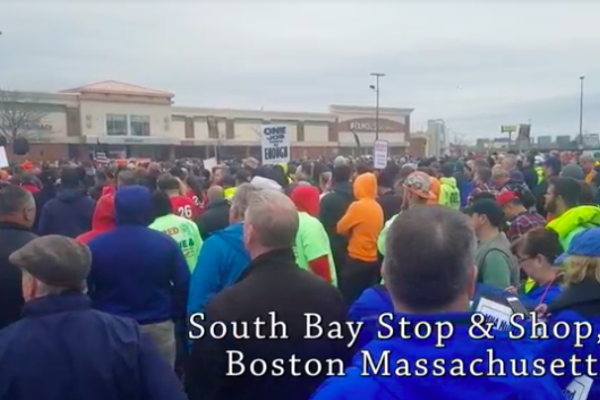 The rally ended with chants of “Free Free Palestine, Free Free Palestine” and a call for people to turn out the next day to protest the presence of Israeli war-criminal Ehud Barak. 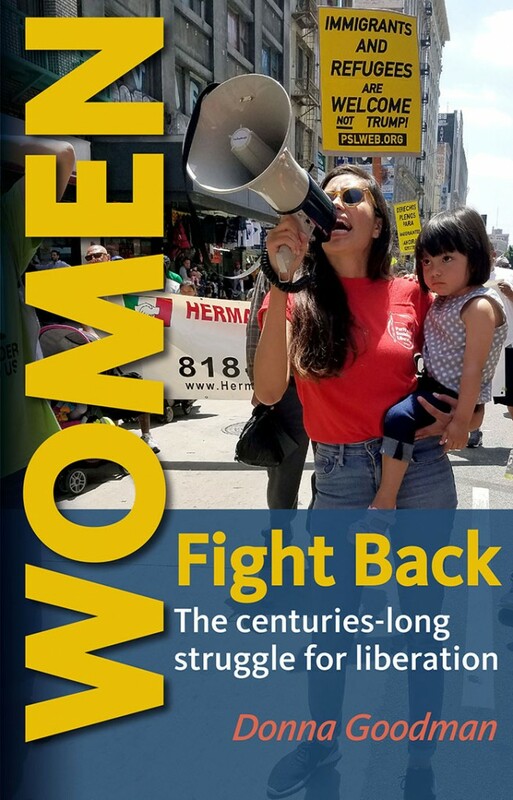 The next day, hundreds of people picketed in front of the Jewish Community Center where Ehud Barak was speaking as part of a book tour promoting his memoirs. Inside dozens of people from the Palestine Action Network, Arab Resource Organizing Center, the ANSWER Coalition and others, disrupted his speech. In groups of three, people stood up throughout his speech denouncing him as a war criminal. Wave after wave of protesters, including this reporter, got up and chanted, “Ehud Barak, Minister of Defense during two massacres of Gaza has blood on his hands,” “JCC Condemn violence against Palestinians, condemn the siege of Gaza, condemn the occupation, condemn apartheid,” while being yelled at and physically assaulted by Zionist supporters in the audience. Eighteen people were arrested and cited for trespassing. All were released later that night. None of the Zionists were arrested.